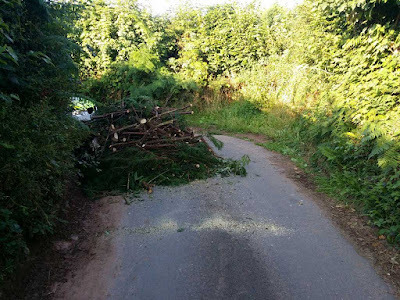 Police are appealing for information after a large pile of hedge cuttings were left in the middle of a road. Officers from Brecon say the pile of branches blocked a country lane near Llanspyddid in Powys, Wales. The branches were dumped sometime between Sunday night, August 14 and the following morning. 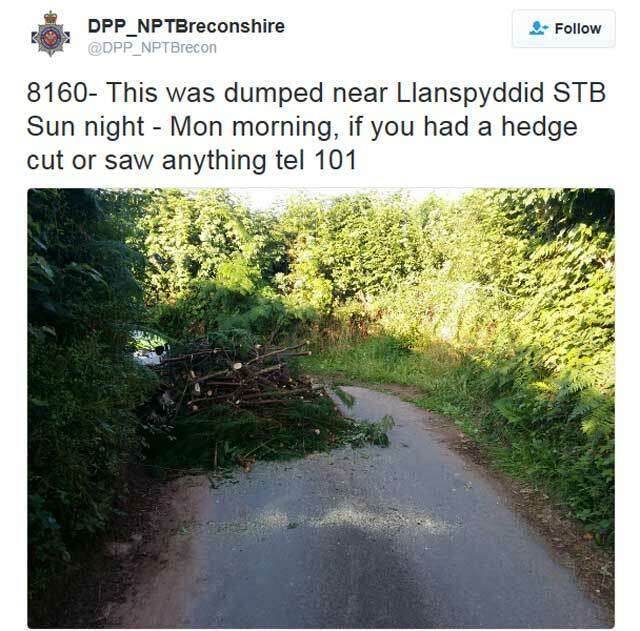 Officers have asked anyone who may have seen anything or if they’ve had a hedge cut recently to contact Brecon Police Station.